I'm not talking about your dads tacky Hawaiian shirt he puts on every vacation, but the chic tropical prints that have made a total comeback. Nothing beats a mix of Hawaiian and California style with a sun kissed glow in the summer. Be inspired by the care free, laid back look. Mix and match patterns and go for anything bright! Its a nice twist on the common flower print and will definitely turn heads this summer. Nail Art has exploded, people are getting more and more creative with their nails. Prints, patterns and accent nails are a huge trend. This simple ombré nail is super easy to recreate and unique to any colours you choose! Choose the colours you want to use. If using light pastel colours like myself, then I suggest using a light white or cream colour first so the pastels pop. I used "Vanity Fair" by Essie as a base. Apply base coat, then a light colour before you begin. Cobalt blue has become a huge trend for the spring and summer. Something about the colour attracts my eyes and I cant help but want it. This colour is a pop of classic chic. A non-neon but bright and edgy. 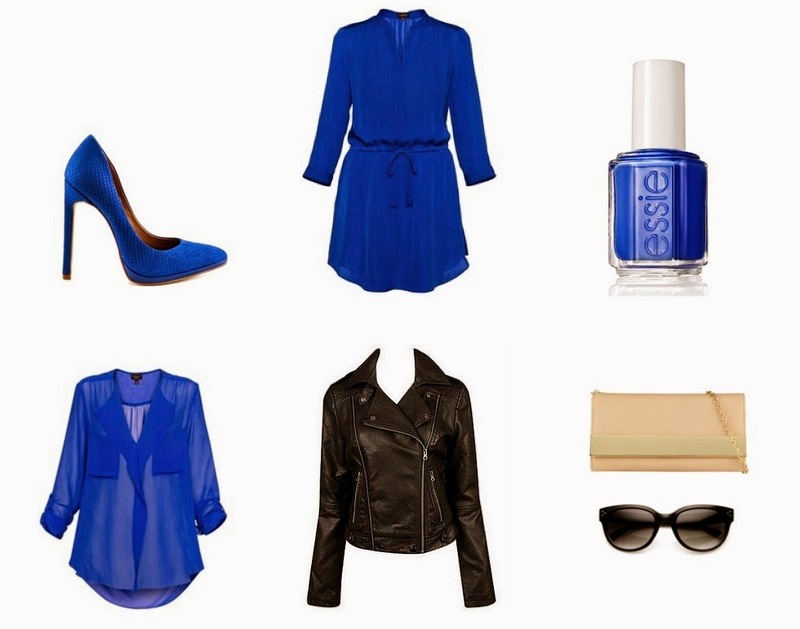 Don't want to stand out with a blue dress, choose a cobalt blue nail polish instead. Butler Please is the nail polish by Essie below. Pair a cobalt blue top with white jeans and a leather jacket for a complete chic look! New segment happening on my blog! Every Friday I will be featuring one of my favourite fashion items, style tips, beauty tips, trends; who I am inspired by at the moment and so on. This segment is going to be a mix of different things but that's the fun of it! I think Fridays just got even better. what to look for when shopping. Also tips on what to wear to certain events in your life. The 90's called, they want their denim back. Denim, a staple piece in any ones wardrobe. Perfect for a laid back look but also dressy enough for a night out! I think denim is the most versatile fabric in fashion today. They are simple and practical, making the most uptight items look relaxed. Today I'm pairing denim on denim, at one time scary; now fashionable. A jean jacket is a classic look for spring and summer, it is stylish paired with a different shade of denim. Keeping the shades different, such as dark and light denim, will insure no clashing. This outfit is perfect for a night out in the summer, pairing it with the perfect pair of sandals and some shades. You'll look stylish and simple!